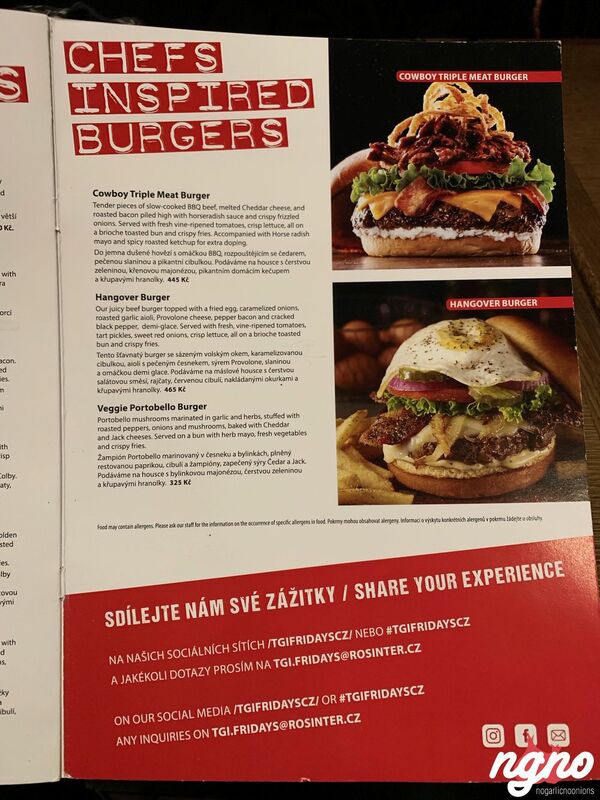 When I first visited Prague in 2010, TGI became a favorite for its “Jack Daniels special sauce.” Back then, I remember dining at least two times and having the same item again and again; “The hickory sauce burger.” Visiting again in 2019, I was sad to discover that this particular item has been removed from the menu. 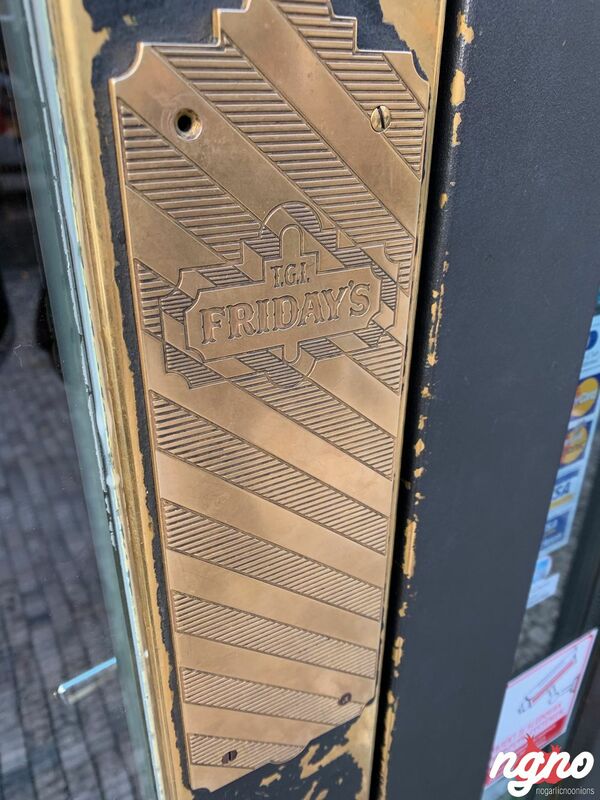 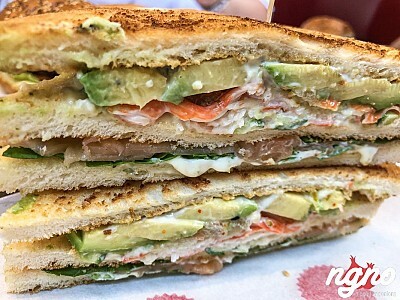 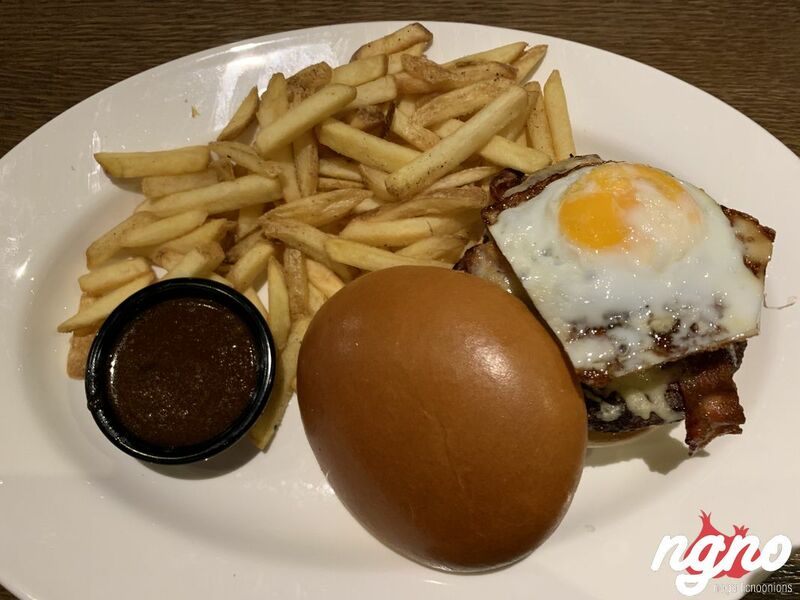 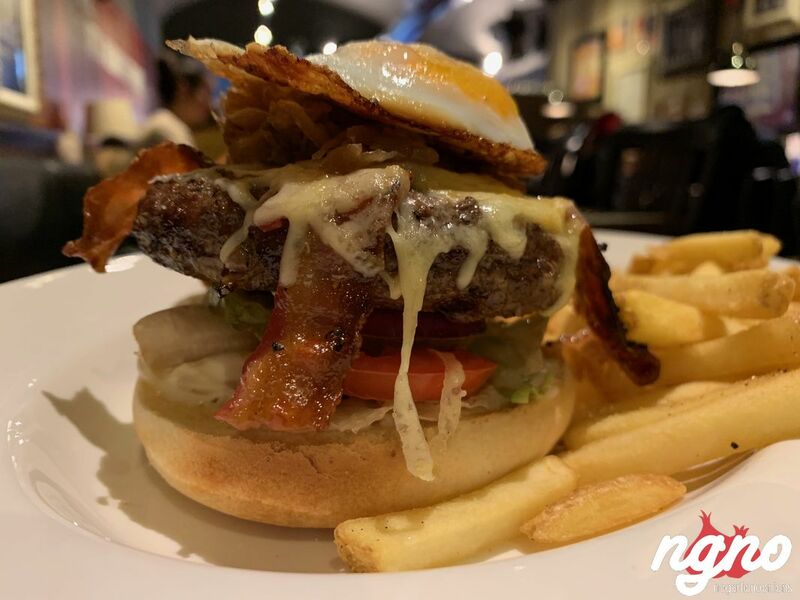 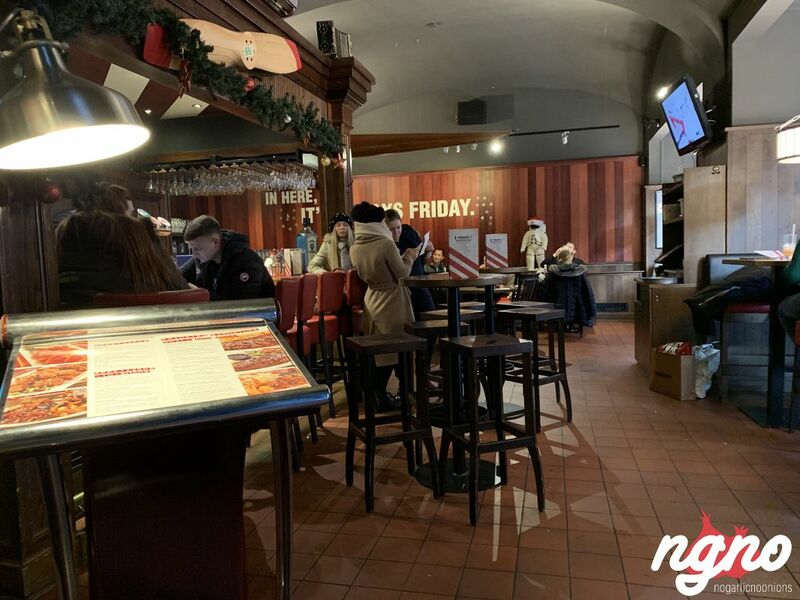 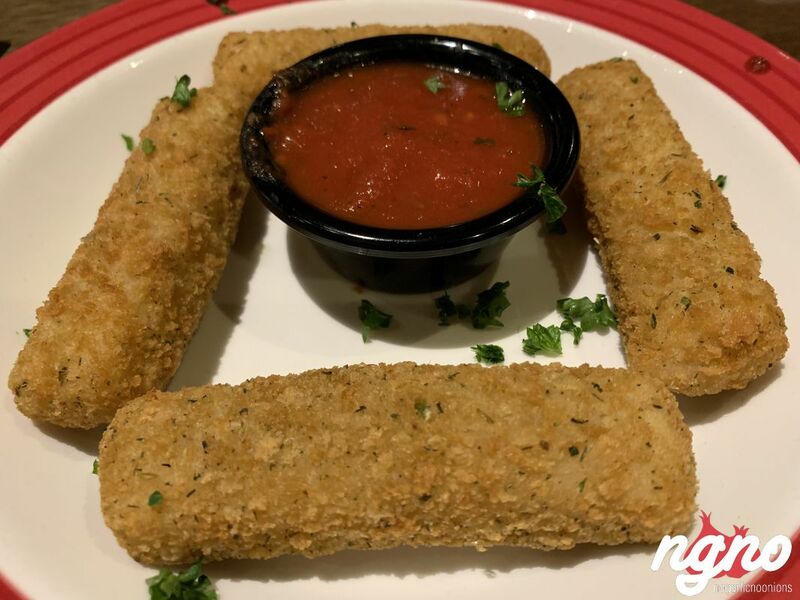 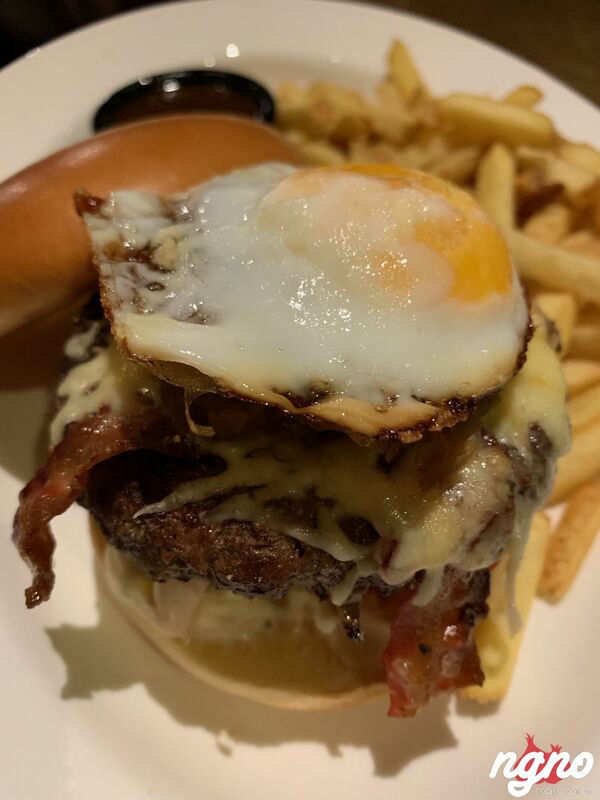 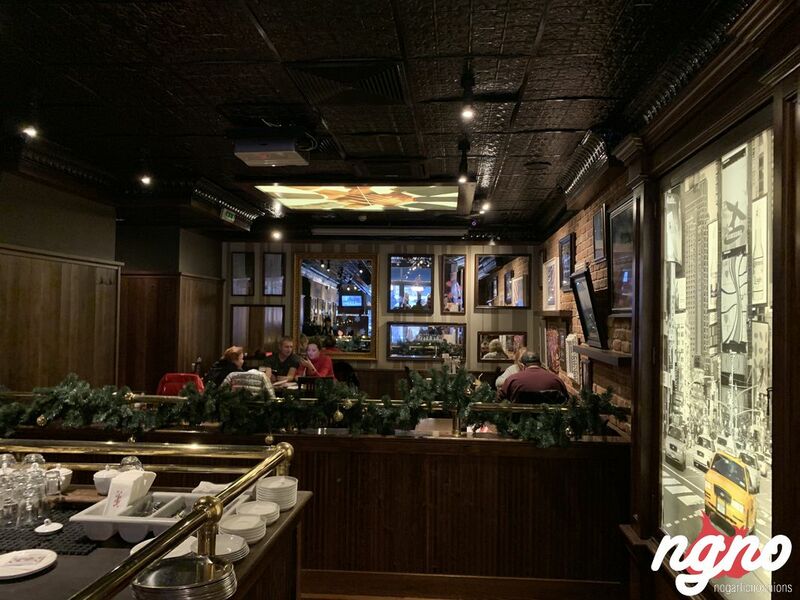 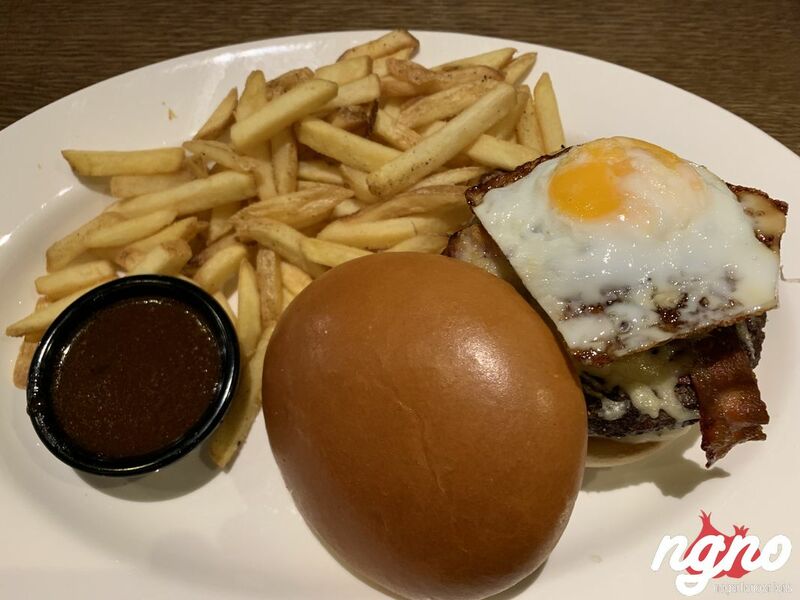 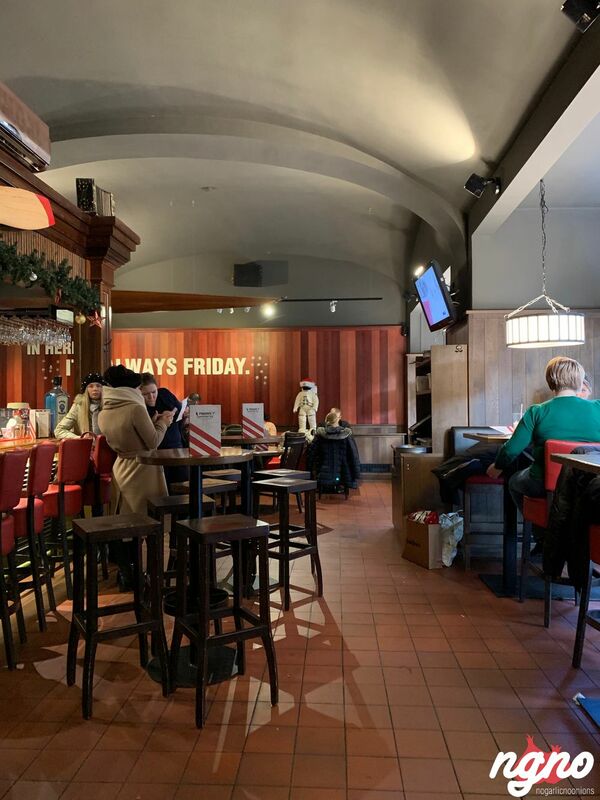 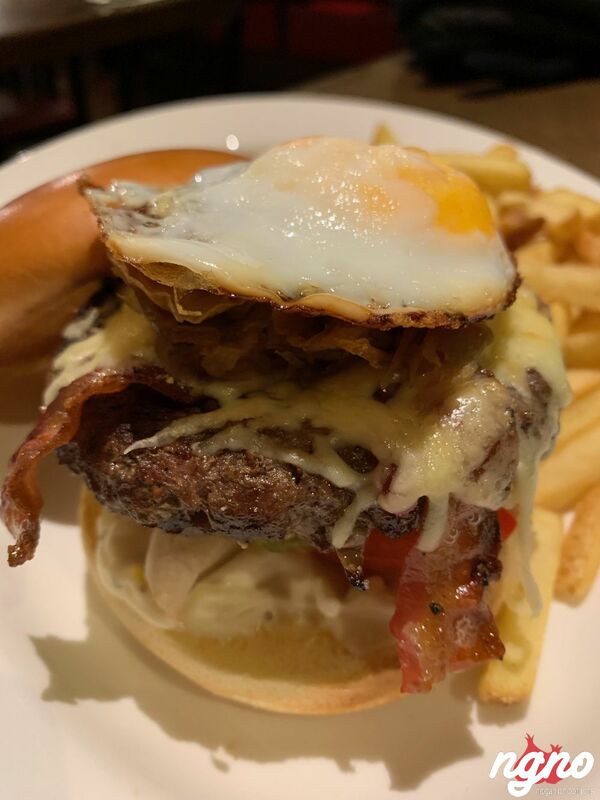 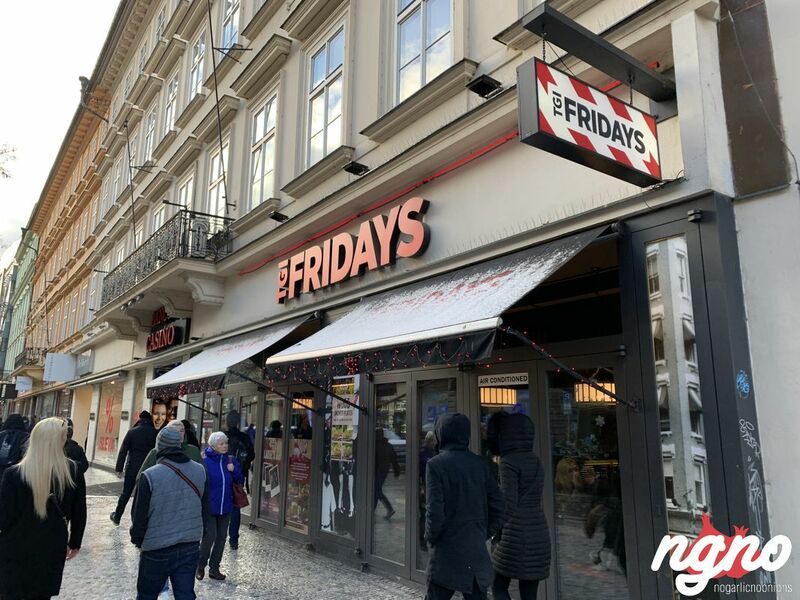 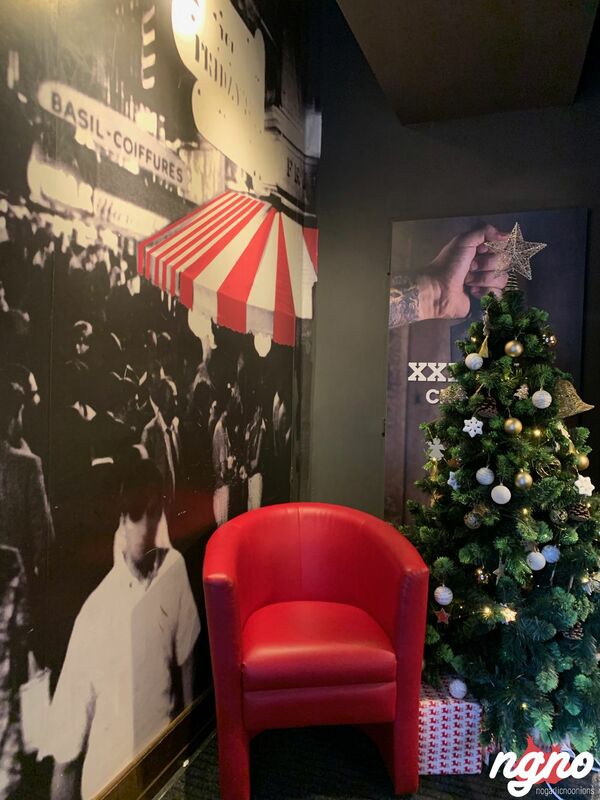 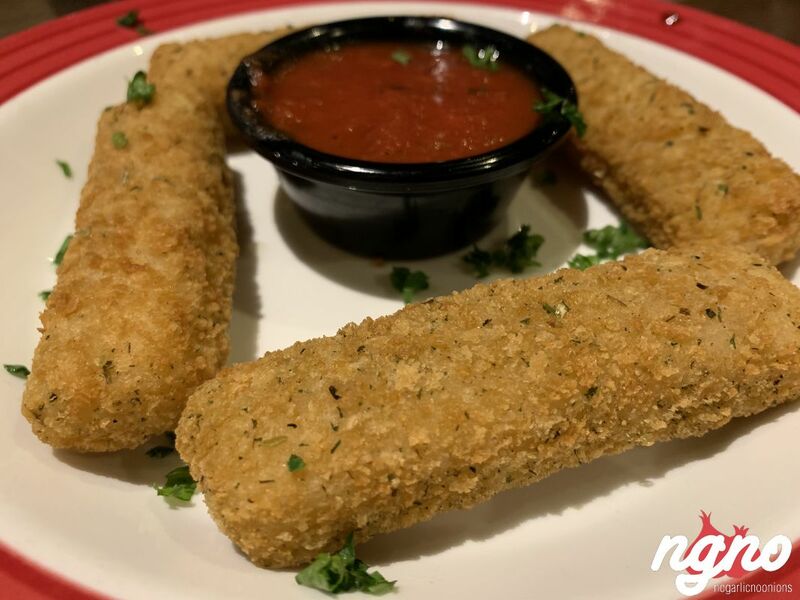 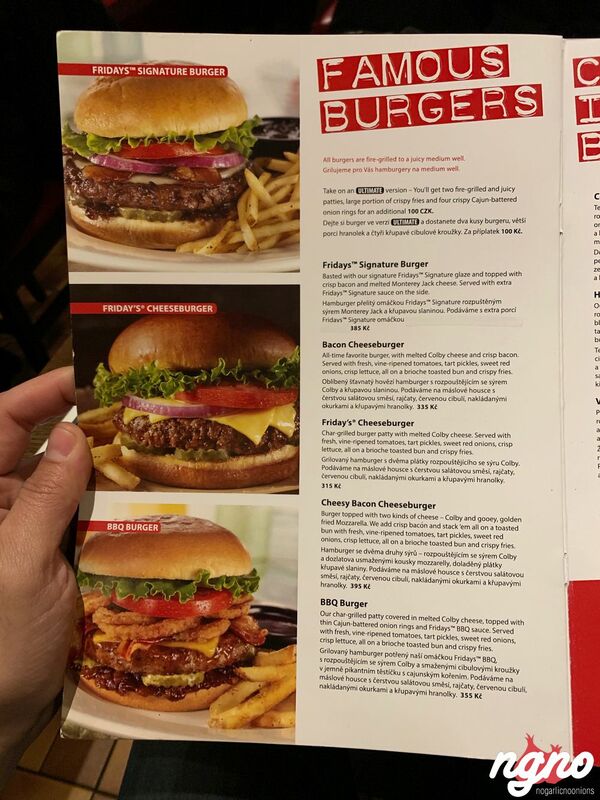 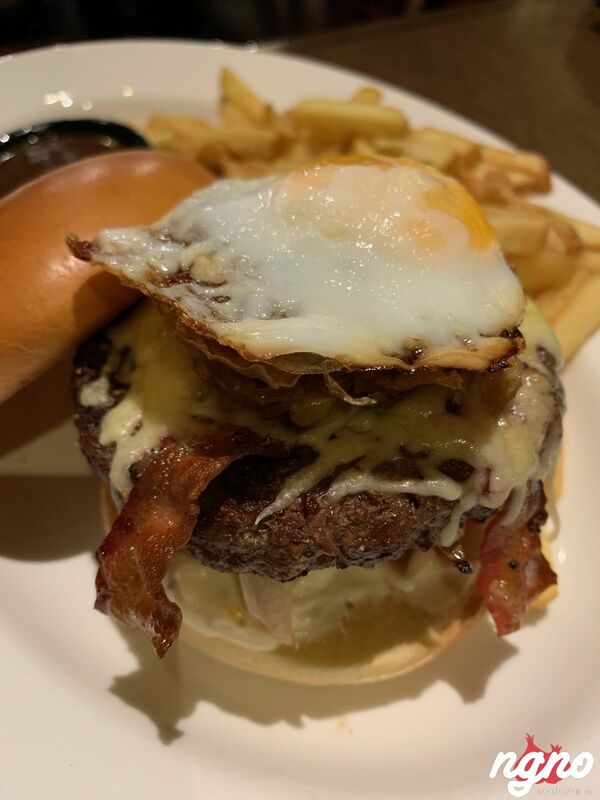 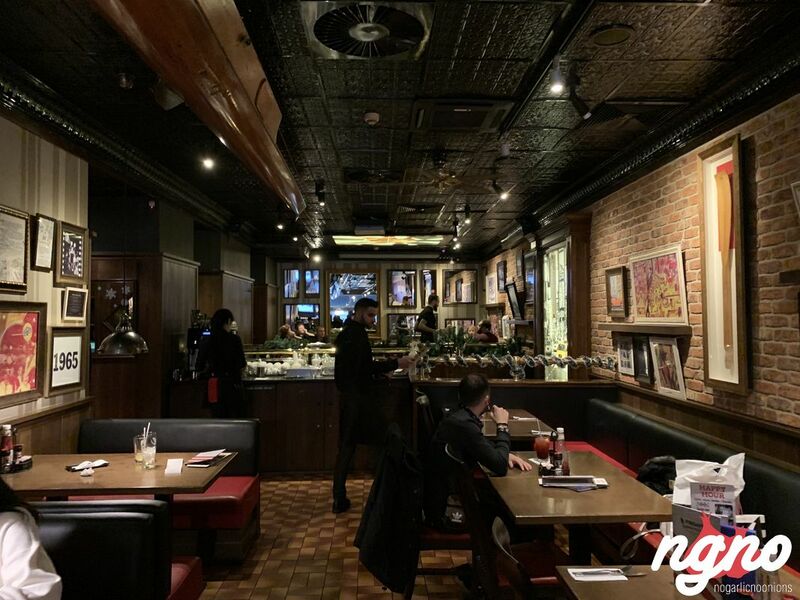 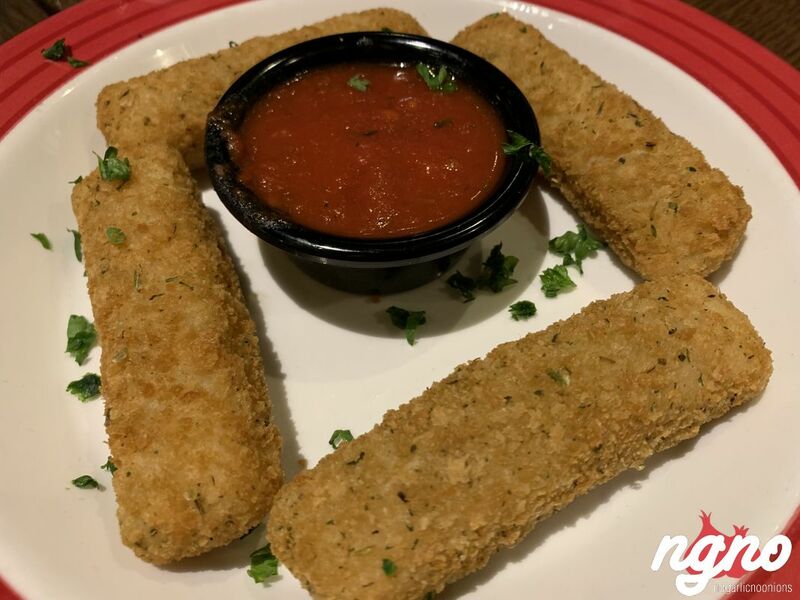 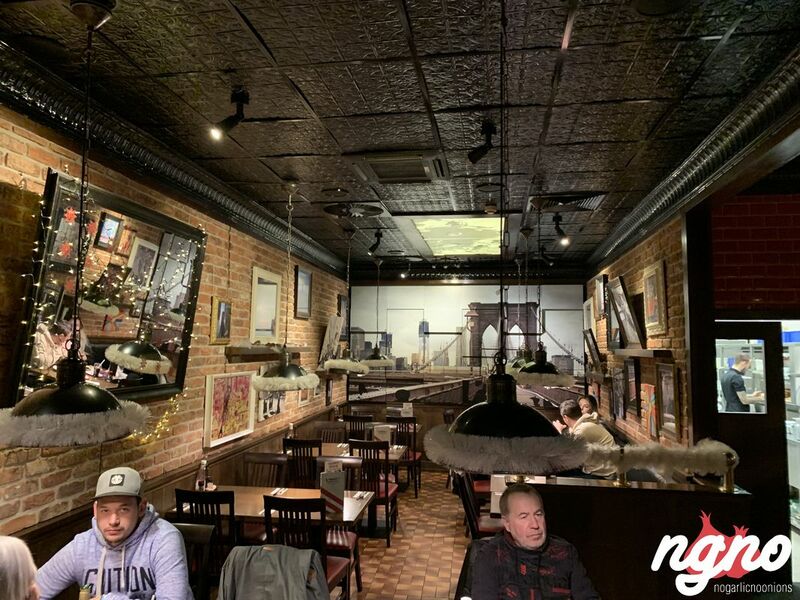 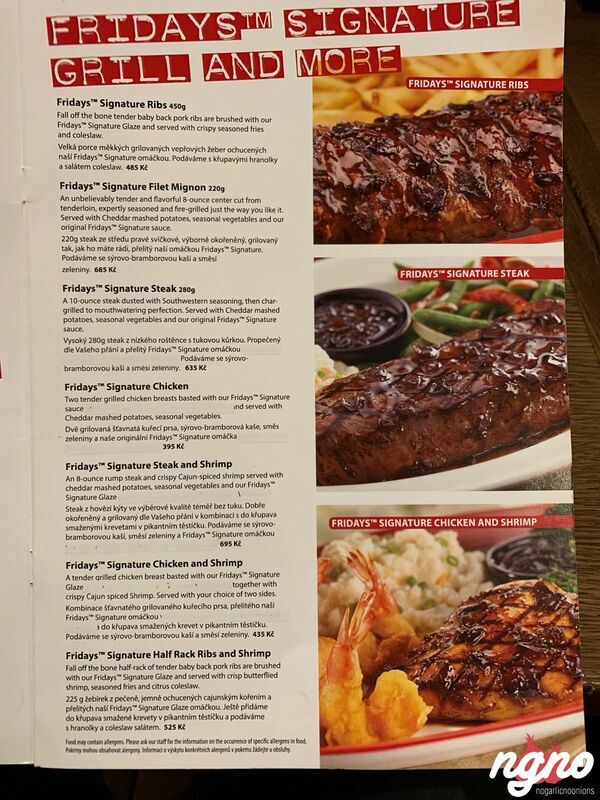 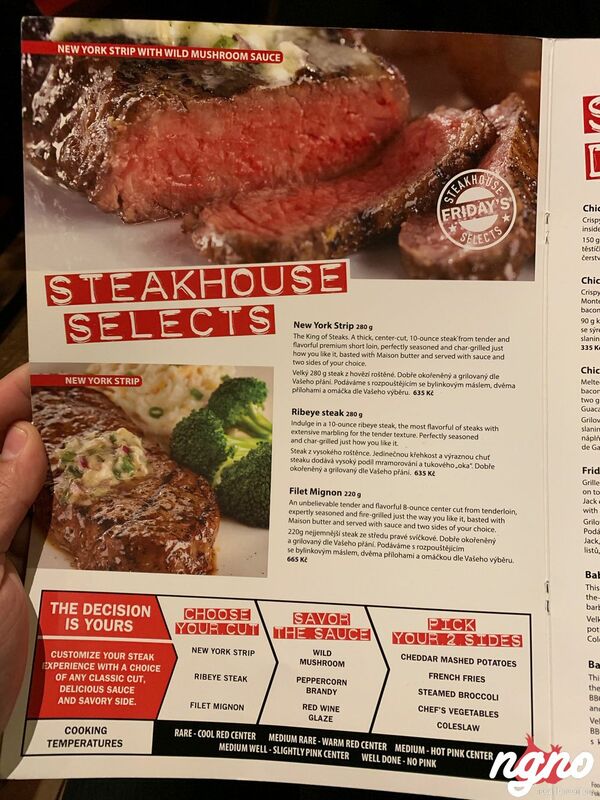 TGI has closed in my country Lebanon; the diner, direct competitor to Hard Rock Cafe and Applebee’s, serves a selection of loaded American creations. 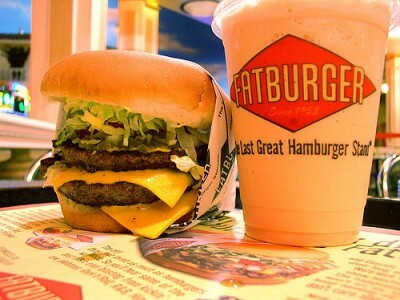 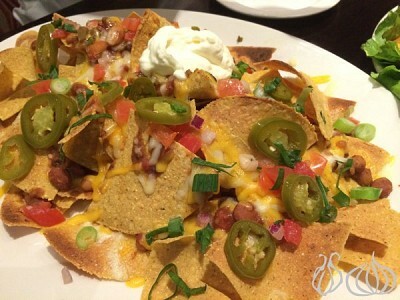 Appetizers, burgers, ribs, steaks, signature dishes, and desserts. 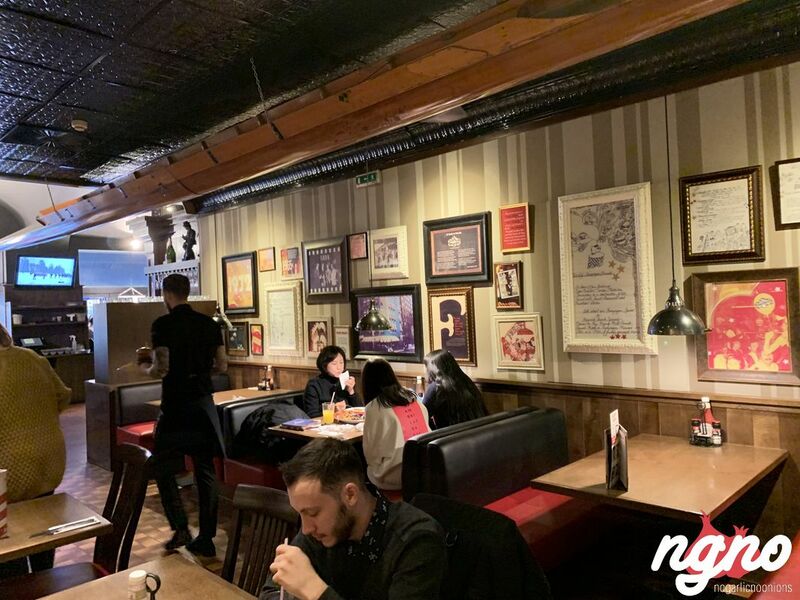 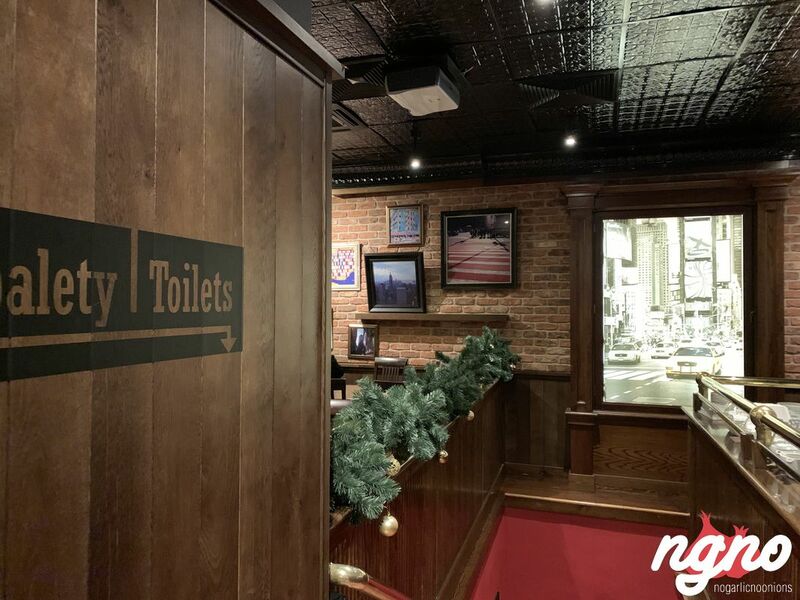 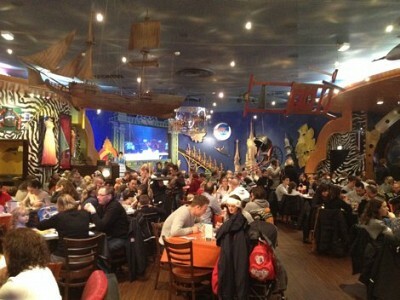 The restaurant: American diner, posters on the walls, bricks, ceramic floor, mirrors... typically American. 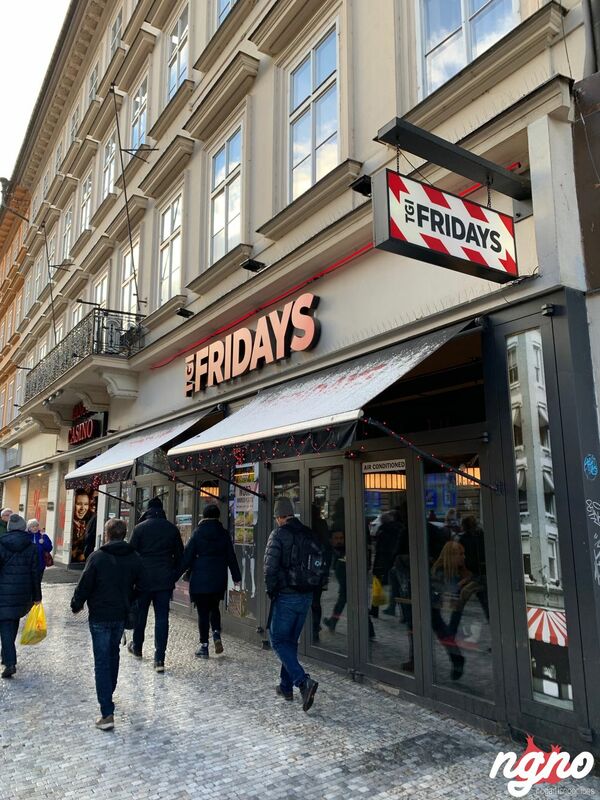 Service: welcoming and not Czech. 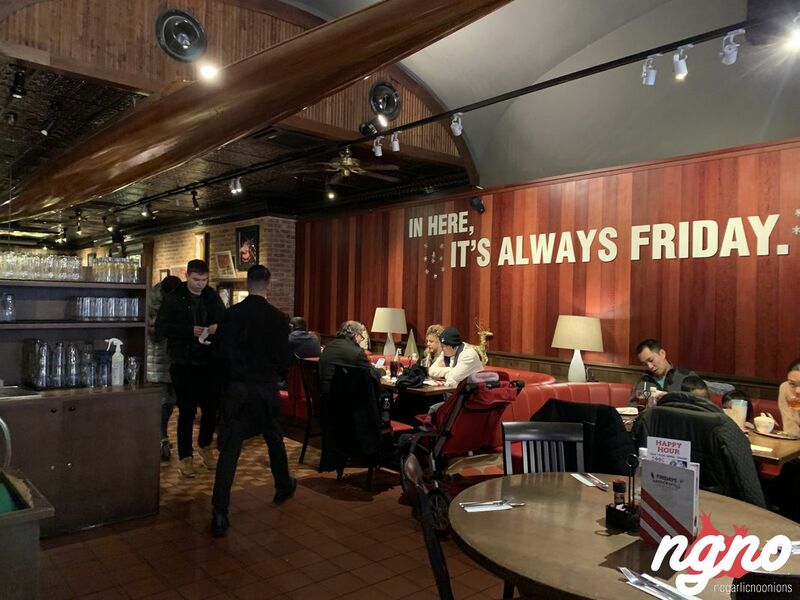 Waiters do smile! 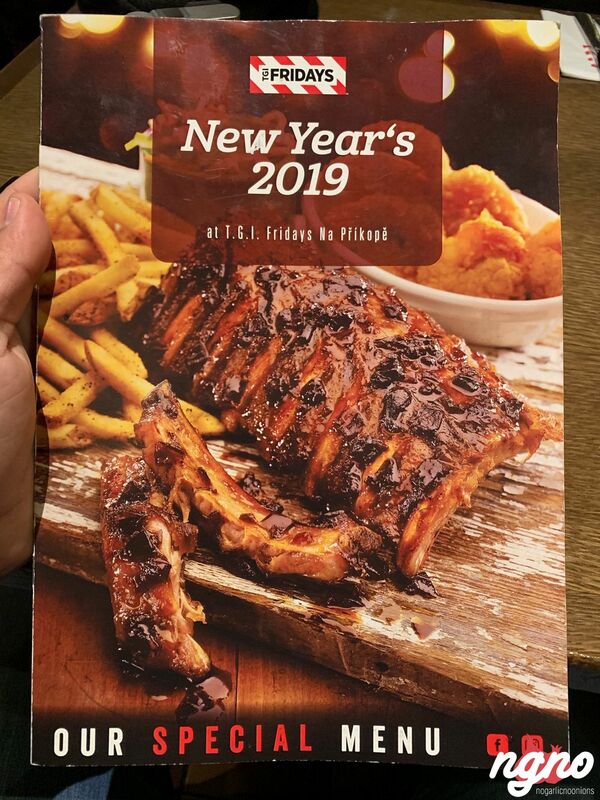 It turned out that the sauce I was searching for isn’t named Jack Daniel’s anymore but “The Special TGI glaze”; I felt so happy, dipping everything in it. 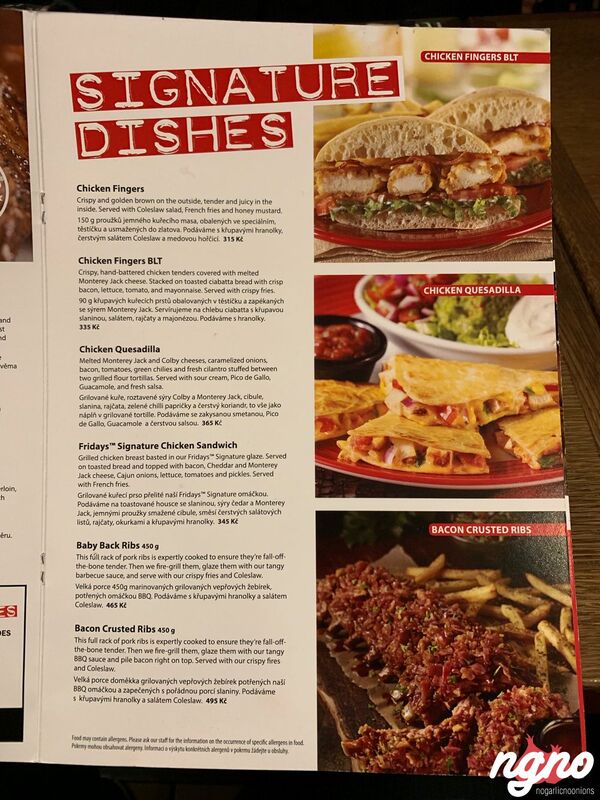 Even though the plates are dirty and unappetizing, the food taste is awesome! 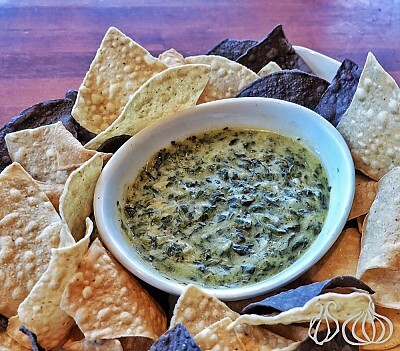 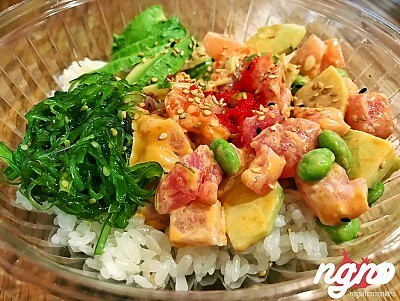 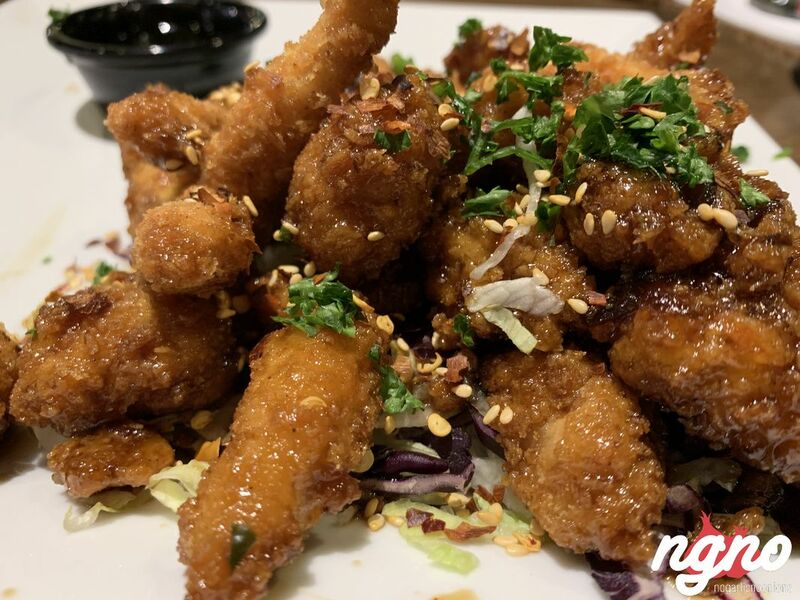 Non-oily, crispy and full of enjoyable taste. 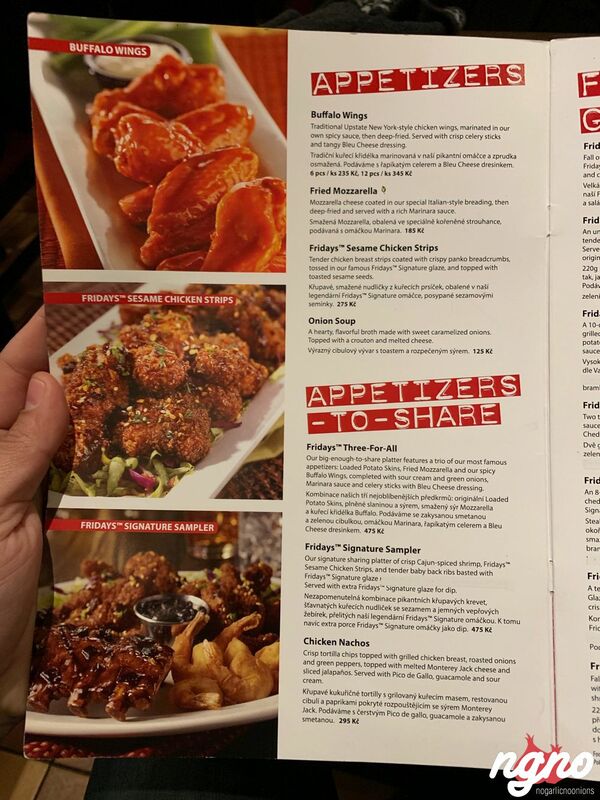 I loved the sesame chicken, the mozzarella sticks’ crunchy envelop and molten heart as well as the main plates. 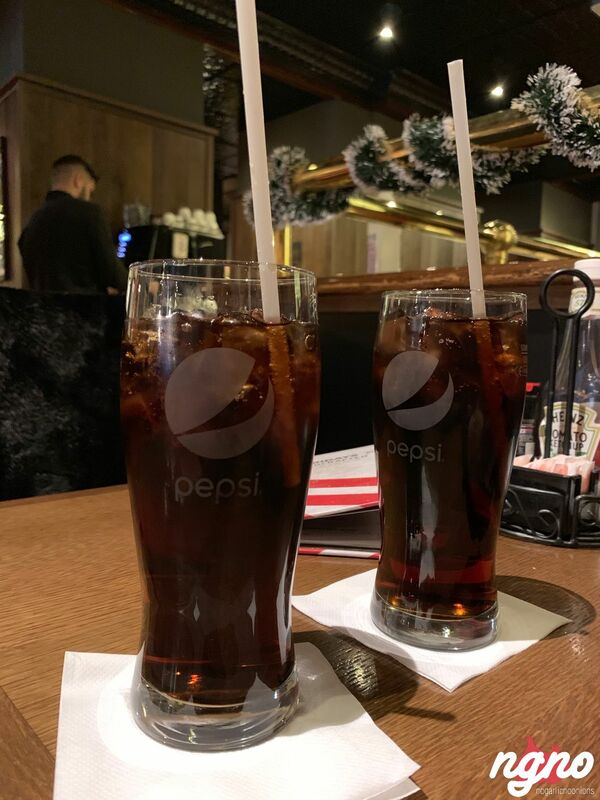 Imagine that I found the Pepsi to be tasty coming from a person that hates Pepsi. 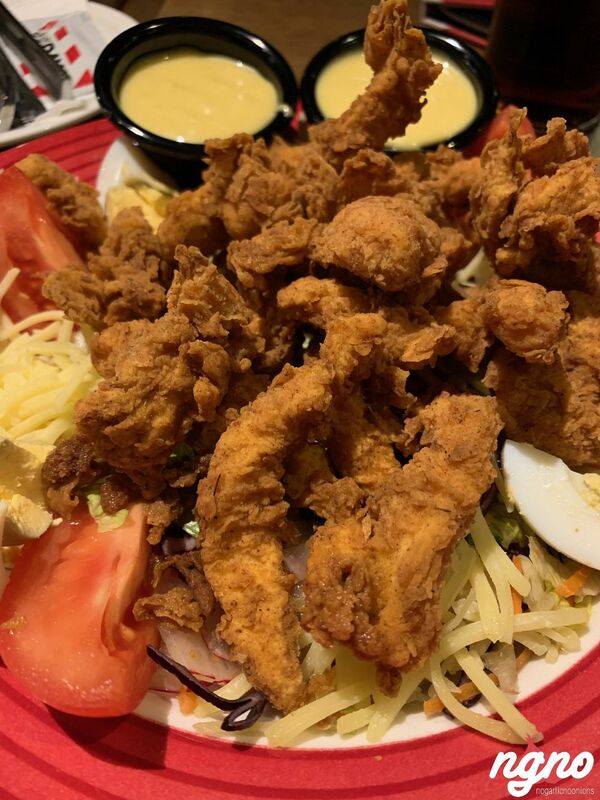 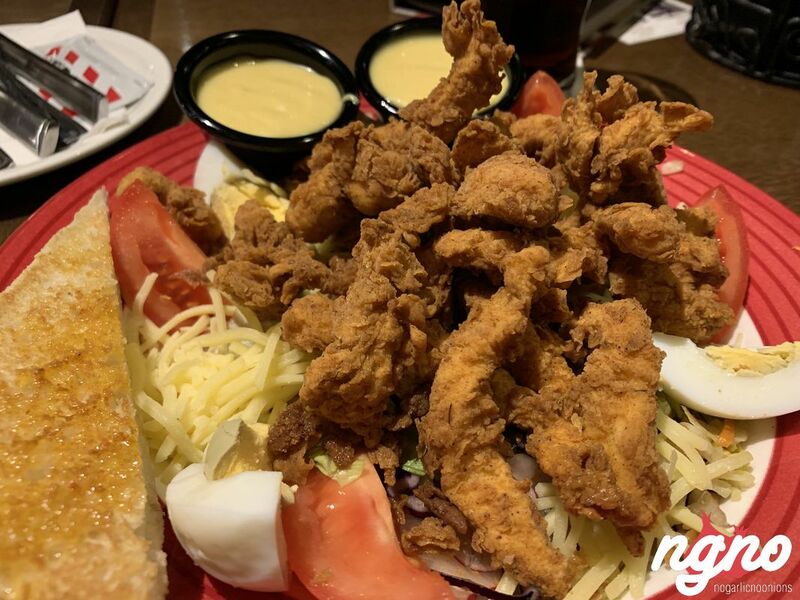 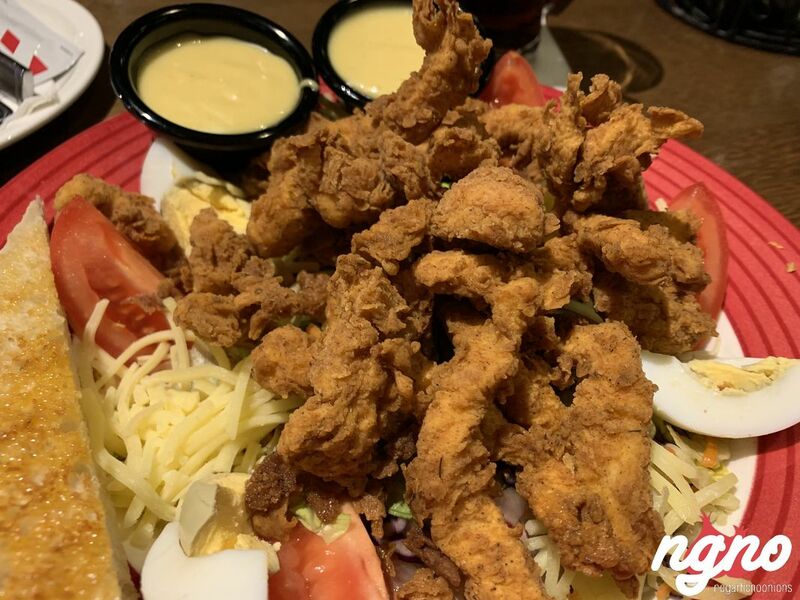 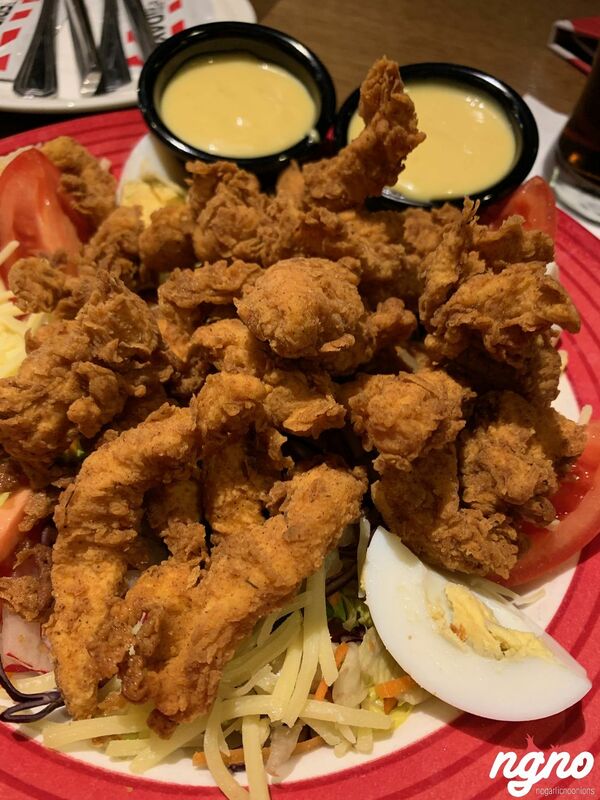 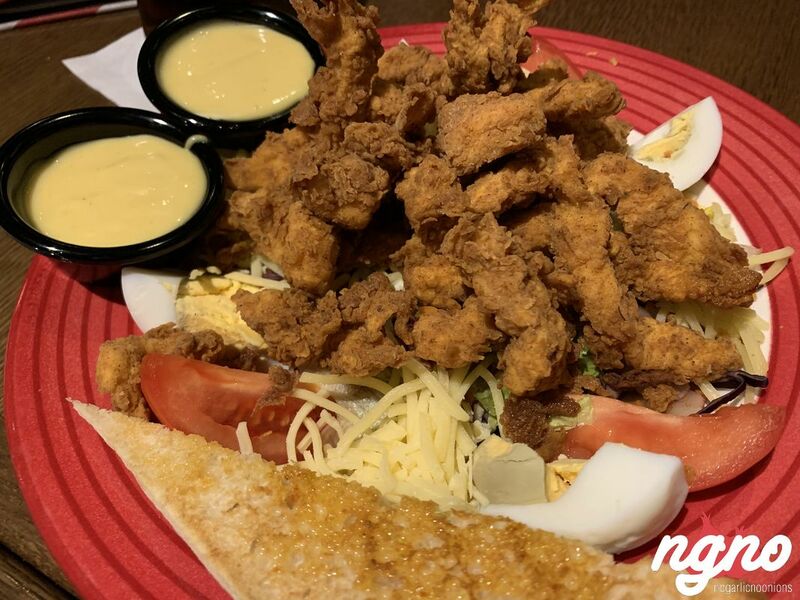 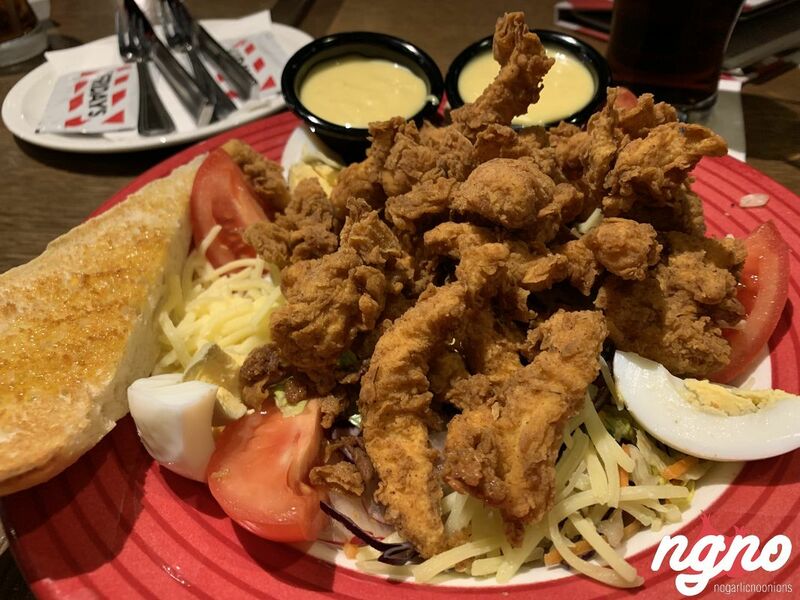 I couldn’t stop eating; I even finished the shredded lettuce used below the chicken for presentation purpose; mixed with sauce, the salad is so good. 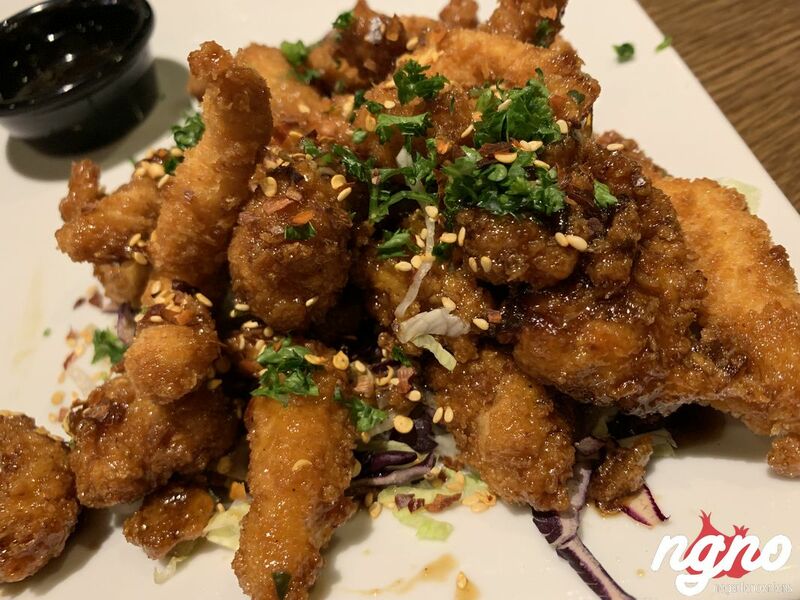 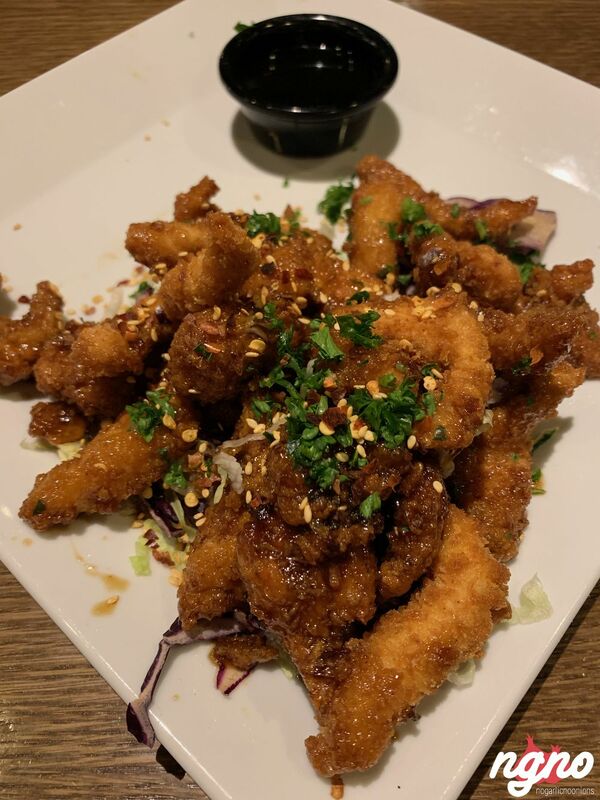 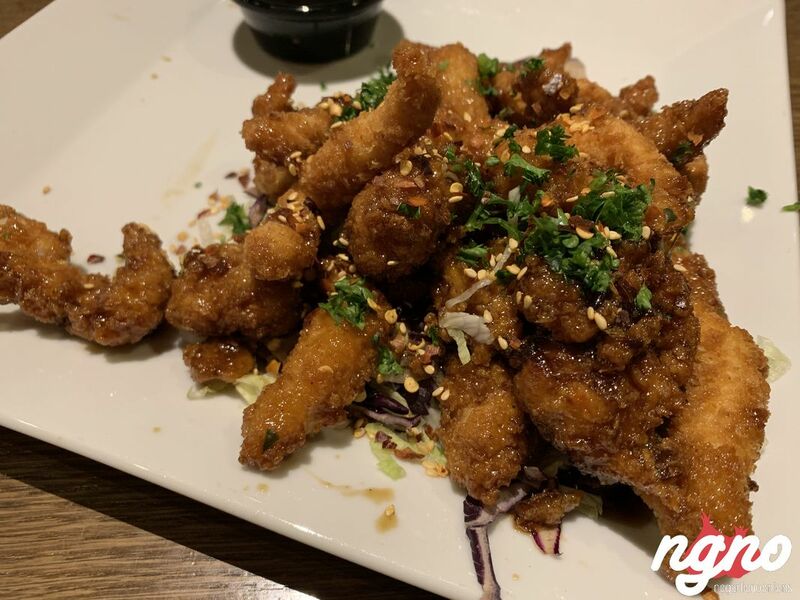 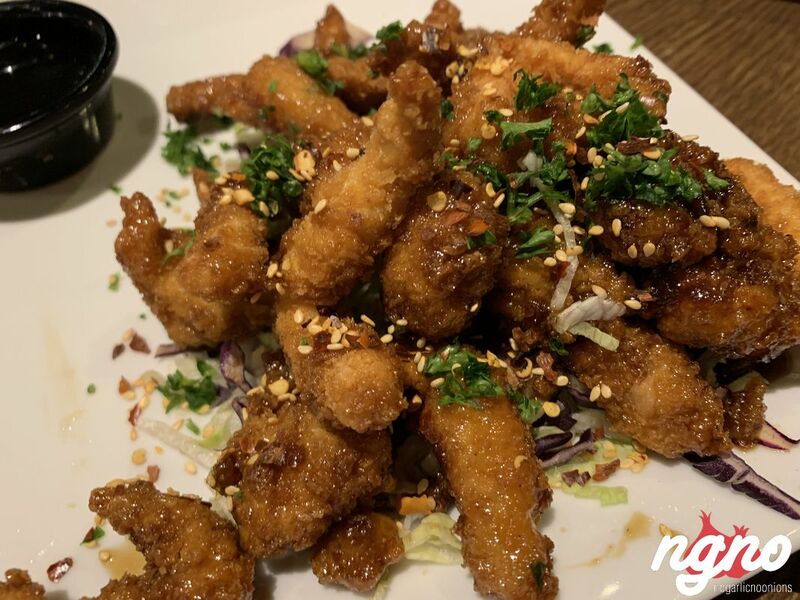 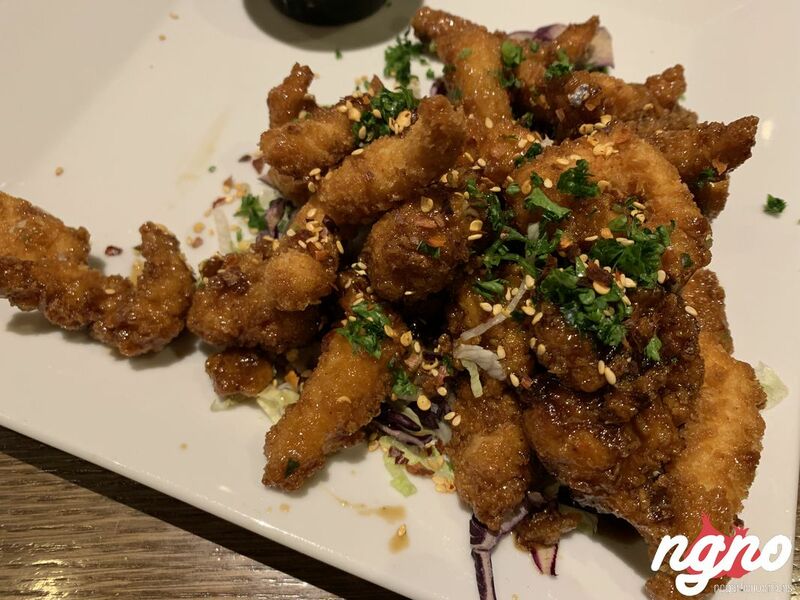 The sesame chicken plate is a must-have; crunchy with a juicy heart and a strong kick of spiciness. 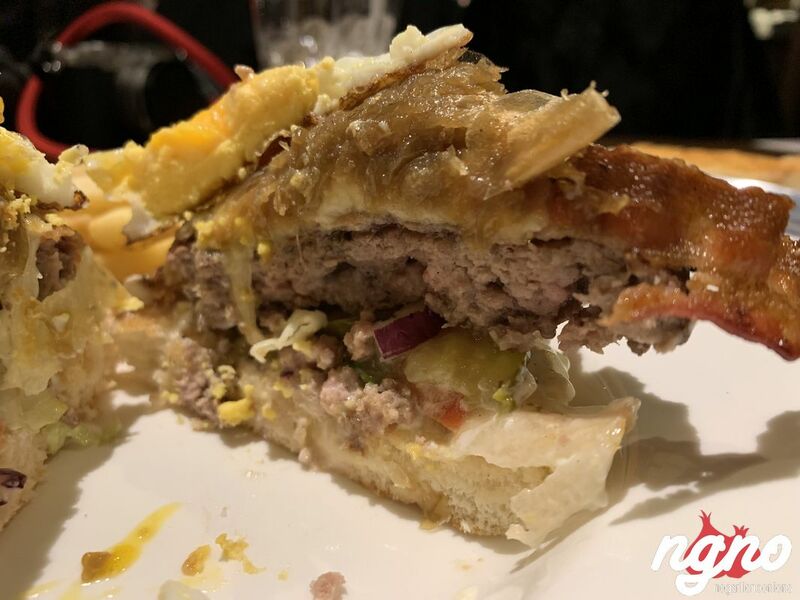 More sauce because the burger landed on my table: even though overcooked, I enjoyed the meat quality, the bun, the crisp vegetables, and fries. 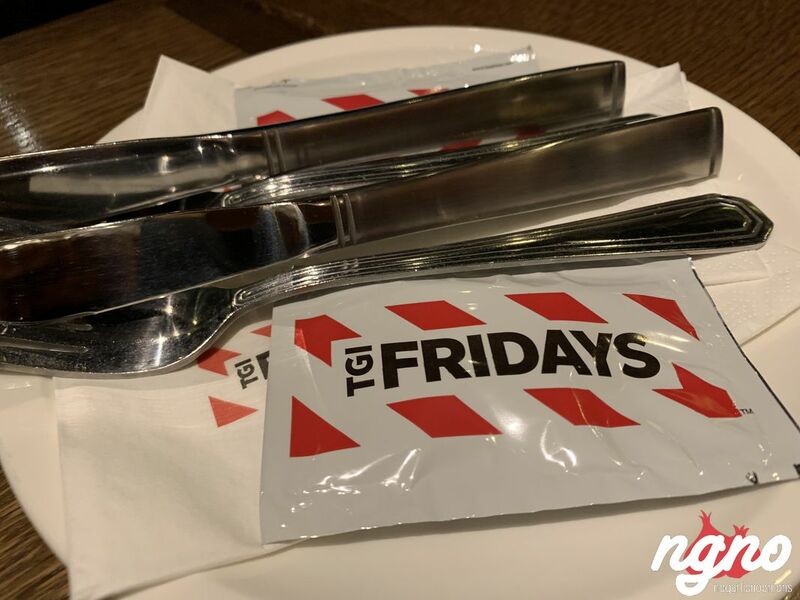 I fell in love with TGI nine years ago... food is still as good. 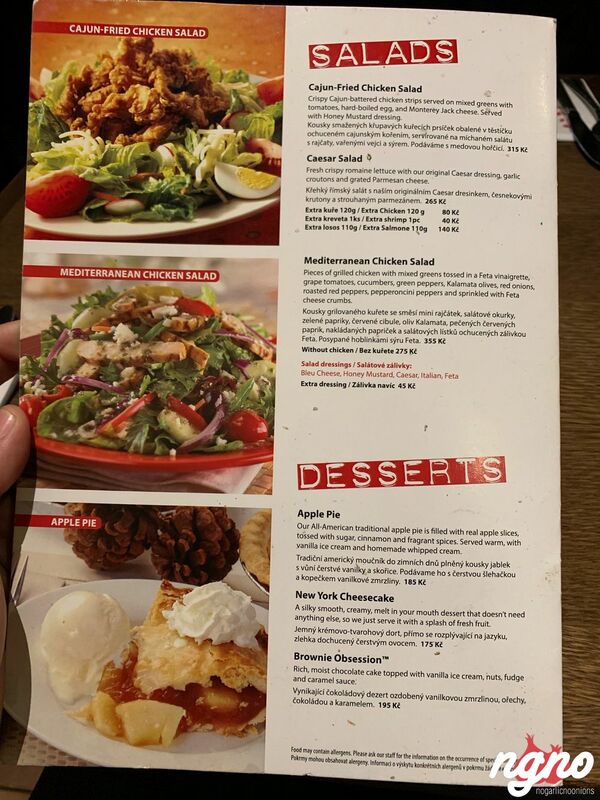 I expected better desserts from TGI, like the one found at Chili’s. 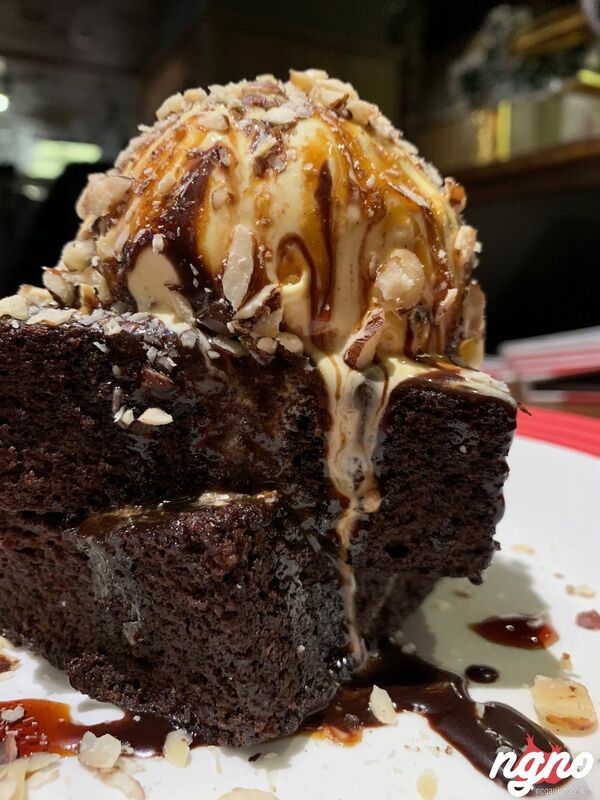 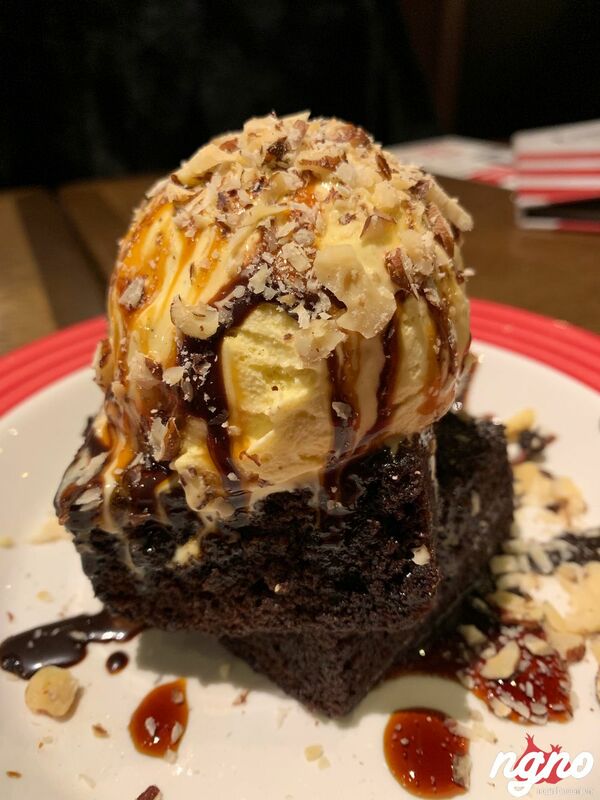 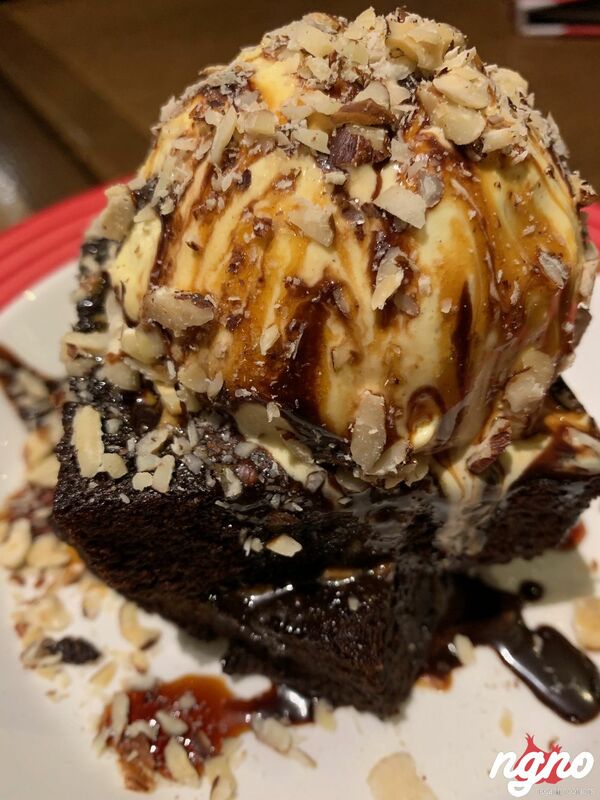 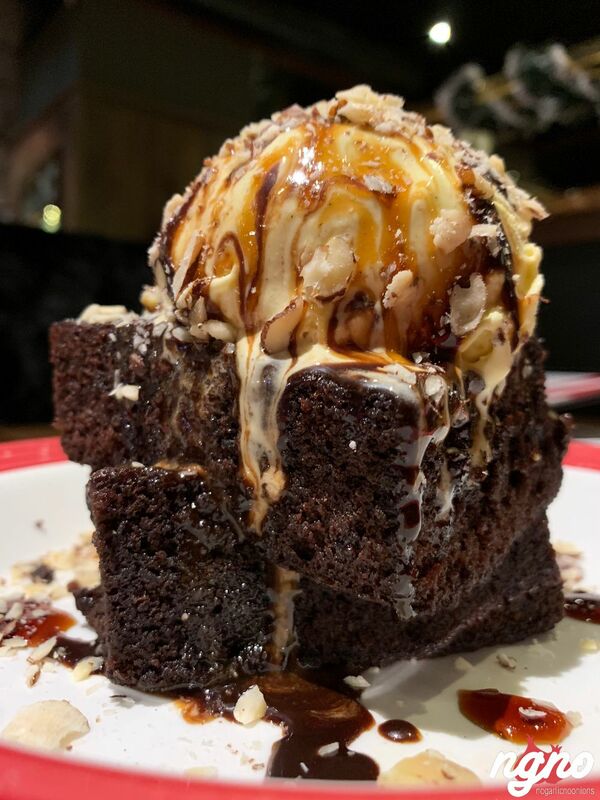 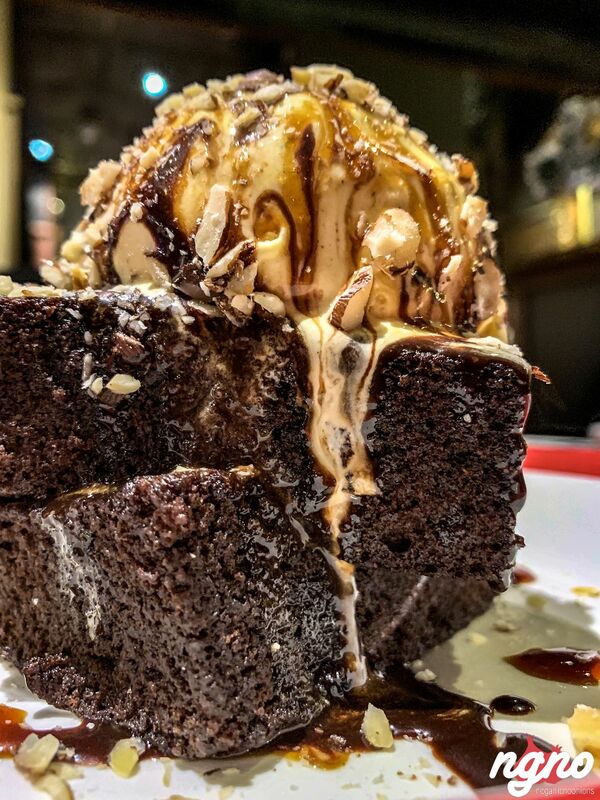 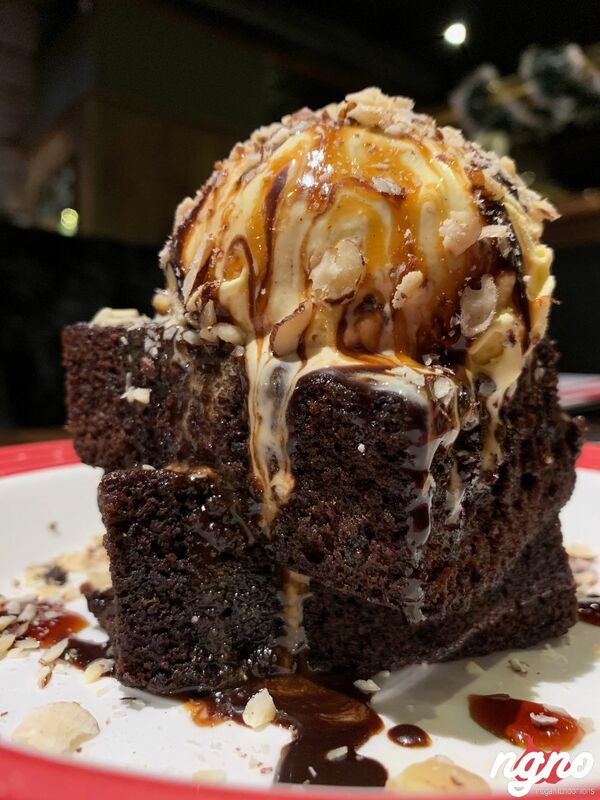 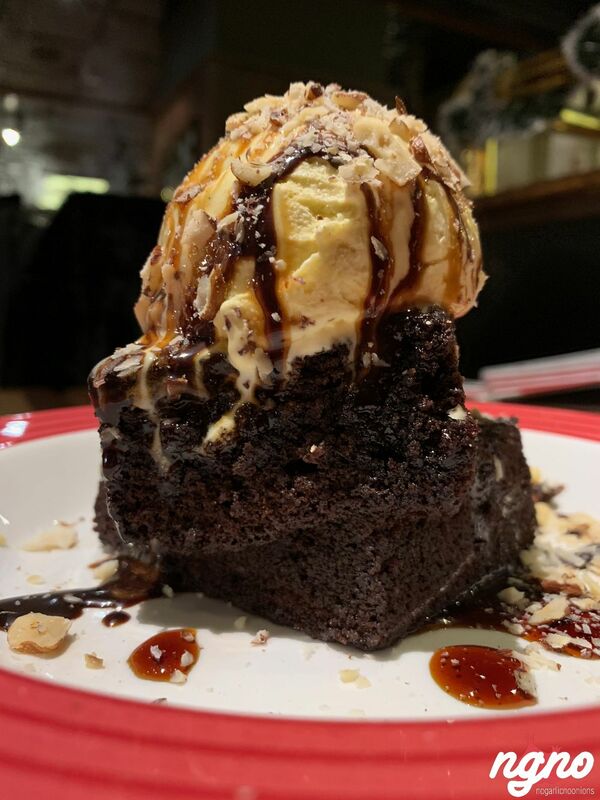 TGI’s chocolate dessert is about microwaved brownies topped with an ice cream scoop. 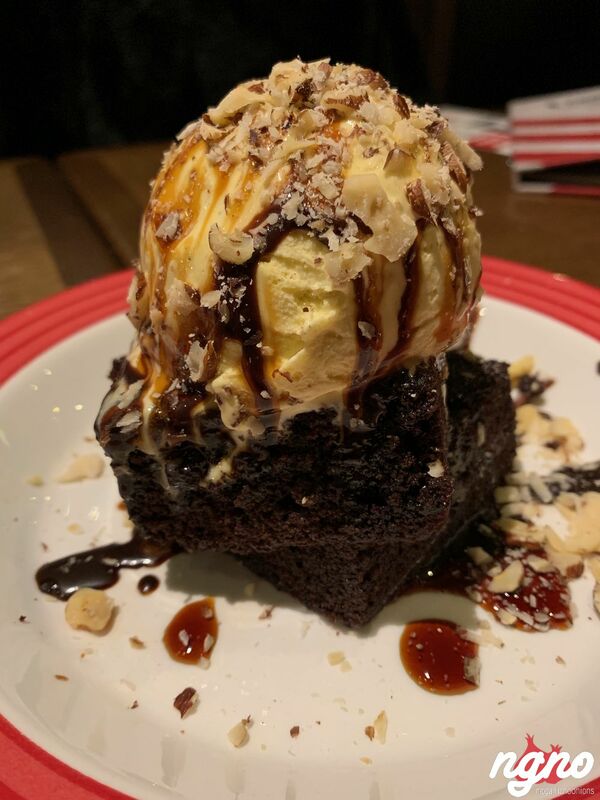 A readymade dessert that took 10 minutes of preparation. 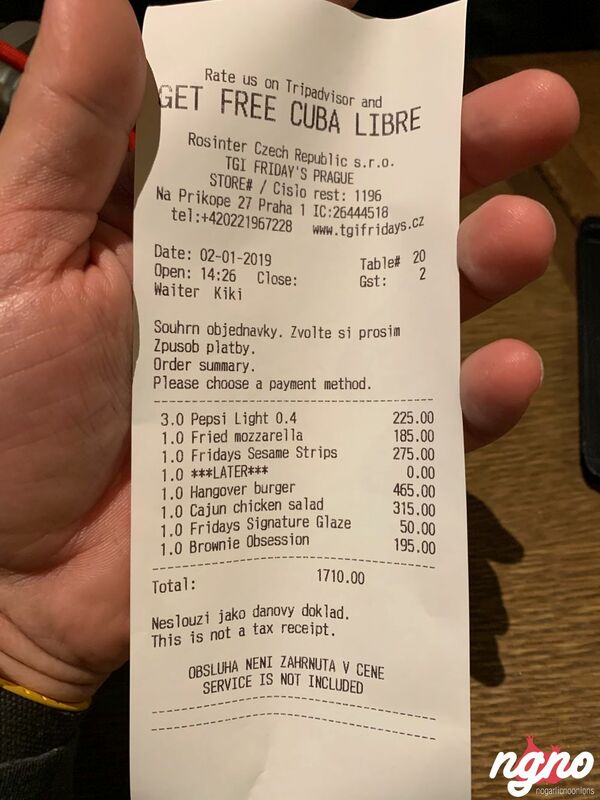 PS: it’s expensive compared to other restaurants I’ve visited in Prague. 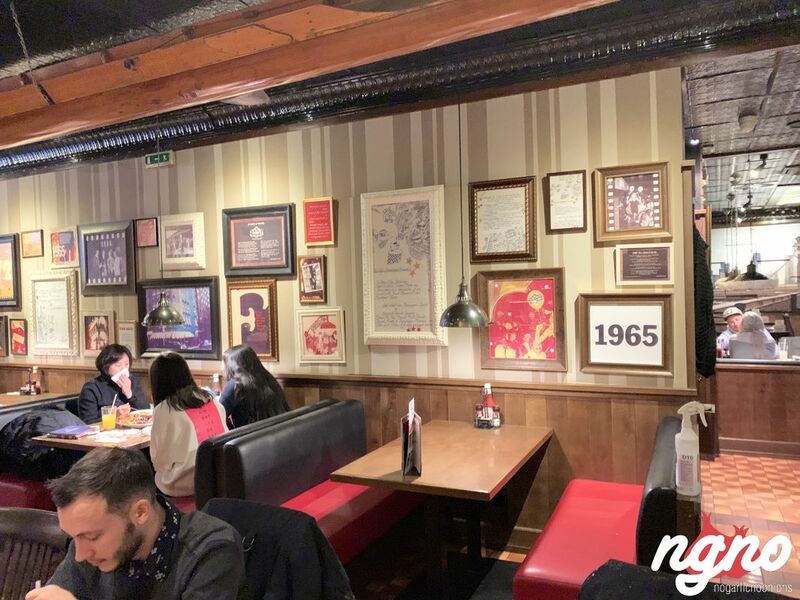 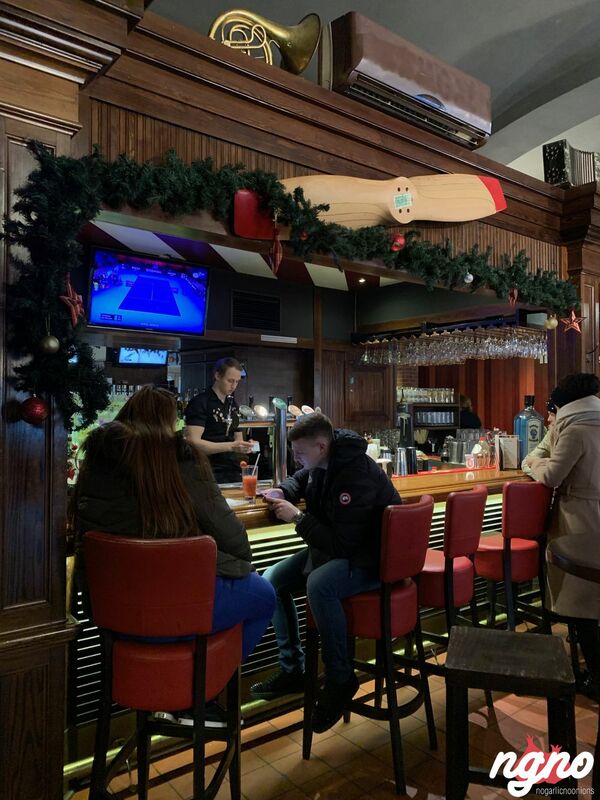 I love it here: when in Prague, give TGI a visit.